As the University of Houston-Downtown makes way for its new Natural Sciences Building and additional parking, work will begin to take down the UHD Warehouse located at the corner of North Main and West Naylor Streets near the Daly Street Lot. On July 28 and 29, the Daly Street Lot will be closed. It is scheduled to reopen July 30. 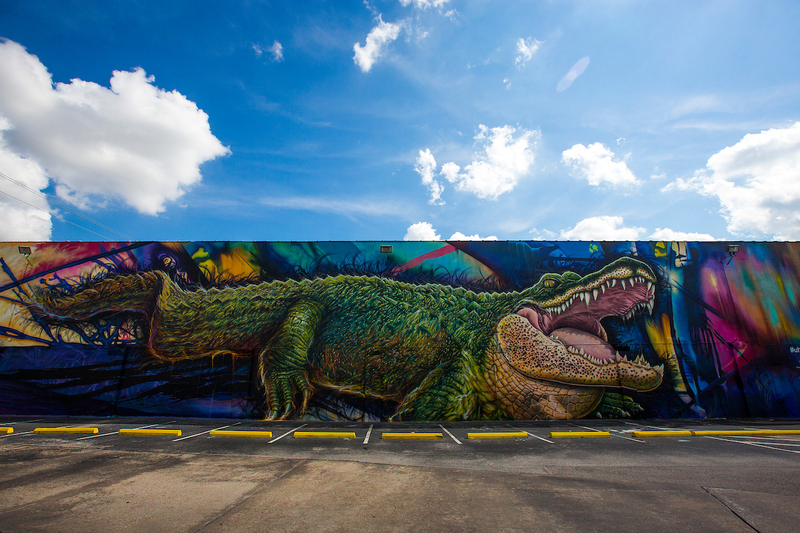 The UHD Warehouse is familiar to the community thanks to the UHD Gator Wall. The wall features a mural by Houston-based French street artist Sebastien "Mr. D" Boileau. The temporary installation was created in 2015. For parking updates, contact Vanessa Turner, manager of Parking and Transportation Services of University Business Services, at 713-221-8947.